This volume reminds readers that truth is important and that real truth is not merely a matter of individual opinion. Lutzer explains that it is the responsibility of church members to understand and distinguish biblical Christianity from the counterfeit spirituality. A church that has made its peace with the world can no longer affect it. As 21st century Christians, we have settled down to a complacent form of faith that demands very little of us, and thus makes very little impact on the world. When secular values infiltrate the church, we accept them without a twinge of conscience and congratulate ourselves on our tolerance. We believe that we no longer have the right to challenge secular trends and decisions, in or out of the church. 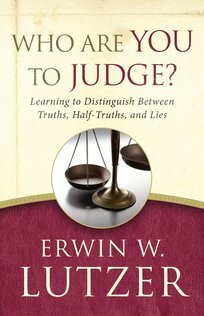 Erwin Lutzer looks at today's world, and confronts us with our responsibility, as believers in the church of Jesus Christ, to again be a force for what is right... not easy.